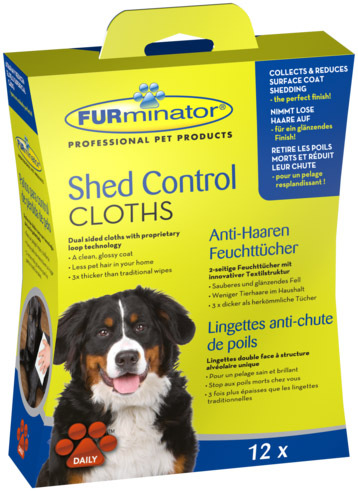 Furminator Shed Control Cloths provide a convenient solution to remove loose surface hair while cleaning your dog or cats coat. 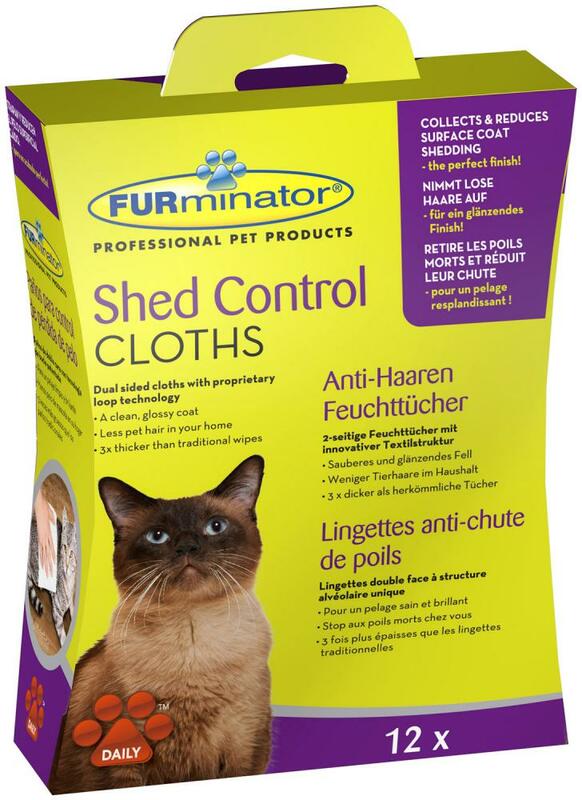 The wipes contain a 3D loop technology to catch and keep surface hair, and have a smooth and rough side, which are also 3 times thicker than traditional wipes. 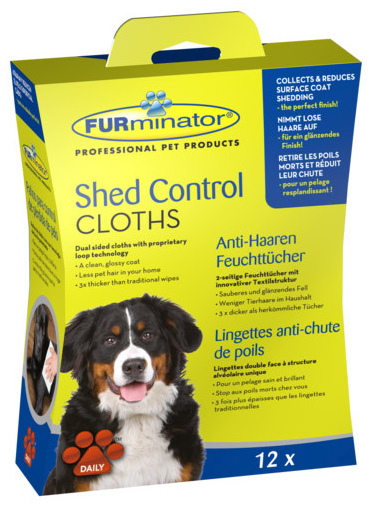 There are currently no questions for Furminator Shed Control Cloths for Dogs & Cats - be the first to ask one!